PRESIDENT Emmerson Mnangagwa has cancelled his planned trip to the World Economic Forum (WEF)’s annual conference in Davos, Switzerland, following advice from his inner circle, who warned that foreign media were plotting to doorstep and embarrass him over government’s brutal crackdown on protesters back home. Mnangagwa was this week supposed to proceed to the Swiss resort town on his way from a four-nation tour of Eastern Europe which kicked off in Russia before he visited Belarus, Kazakhstan and then Azerbaijan. Mnangagwa posted on his Twitter handle yesterday that he was returning to resolve upheavals that have gripped the nation. “In light of the economic situation, I will be returning home after a highly productive week of bilateral trade and investment meetings. We will be ably represented in Davos by Minister of Finance Mthuli Ncube. The first priority is to get Zimbabwe calm, stable and working again,” he tweeted. This would have been Mnangagwa’s second visit to Davos since he took over from former President Robert Mugabe in November 2017. His maiden appearance to WEF was in January last year. A top government source last night said the Zanu PF leader had decided against proceeding to Davos to save face following intelligence reports that foreign media intended to waylay him. 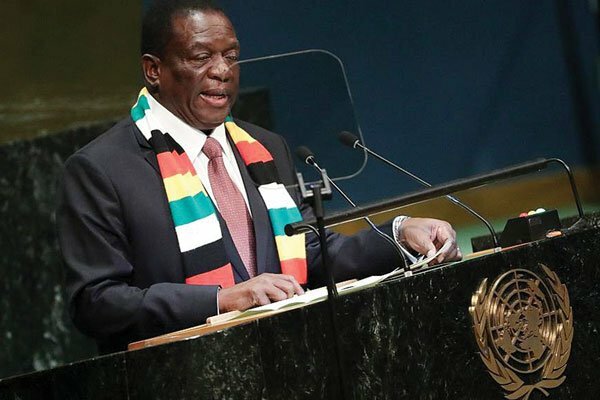 Several local civic groups had already started lobbying international leaders, including the European Union, to take Mnangagwa to task over his government’s brutal crackdown on dissenting voices following the killing of at least 12 civilians by State security agents last week. “There has been a change of plans, the President will no longer be going to Davos,” the source said. Information ministry secretary Ndavaningi Mangwana said he was not aware of the President’s schedule, while Information minister Monica Mutsvangwa said she was out of town and could not confirm her boss’ travel arrangements. Violent protests broke out following Mnangagwa’s departure last Monday, as citizens rejected a 150% fuel prices hike he had just announced. Zimbabweans were expressing anger over the sharp rise in the cost of living triggered by the fuel price increase. A brutal backlash by State security agents has, according to local human rights groups, left at least 12 people dead, with over 60 others nursing gunshot injuries, while over 800 have been rounded up in connection with the violent protests. Government has since blocked social media platforms such as WhatsApp and Twitter, among others, which were believed to have been instrumental in mobilising protesters in last week’s protests.